Conversation Starters, Making Connections activities suggestions and Resources from previous months are posted here by month. Open the month section and scroll down to the desired grade level. 1. What makes you feel safe? Unsafe? 2. Which adult at school do you trust the most and why? 3. What would you do if your friend was bullied? 1. Establish a family rule about keeping private parts private. No photos in the bath. 2. Practice with your child what he/she should do if in an uncomfortable situation. 3. Post emergency phone numbers on the refrigerator. 1. What do you think your bus driver likes most about his/her job? How is this different than driving a city bus? 2. See that plane in the sky… who do you think is in it? Where are they going? What is the job of the pilot? 3. Which job do you think would be the best for you? Helping people? Fixing things? Making machines go? 1. Bring treats to the fire fighters at a station near you. 3. Look under the hood of your car to see all the things that could be repaired. If you know what some of the parts are for, point these out. 1. What do you think motivates bullies to make others afraid or anxious? 2. How would you be an ally for someone who is being bullied? 3. Who is a trusted adult at school and away from school to whom you could talk to if you or someone you know is being bullied? 1. Draw a circle and write the word Target in the middle. Draw thought bubbles around the circle and write in statements that could be supportive of a person who is being bullied. 2. Make list of deflective statements or actions your child could use if bullied. Role play scenarios where the practiced words and behaviors are used. 3. Discuss how your student could become a leader in preventing bullying. What kind of program would they design if they were in charge of stopping in-person and cyberbullying? Who would they get to help with this project? 1. Look at this chart together. Which jobs have potential to grow? Which are on the decline? Read the job descriptions for a few and put a star by the ones that sound interesting. 2. If you had to find a job today, what would you choose? Look on a job posting website such as Indeed. Which jobs available in Houston would you like to do? Will they pay you enough? Which endorsement would help you get this job? 3. Make a list of as many adults as you know and include their jobs. Next time you see any of them, ask them if they like their job, how they got their to this career, and what they wish they had done differently when they were your age. 1. What are some suicide risk behaviors that should raise a red flag if we observe them? 2. When you feel down, what do you do? With whom is it best to talk it out? What is the best way for you to hear or receive advice? 3. What would you do if your friend told you he was thinking about suicide, but asked you to promise not to tell anyone? 1. Practice having a conversation about suicide between your child and a “friend.’ What are things to do or say that will make the depressed person feel less alone? 2. Make wallet cards with the 1-800-SUICIDE (784-2433) number on them for your student to hand out to friends. 1. What are the differences between the ACT and SAT? On which do you think you are best suited to do well? Why or why not? 2. If you are not thinking about going to college, why is it still important to prepare and take the ACT and SAT? 3. What is the average SAT or ACT score for admission to ______ university? Where can you find this information? 1. Check out free SAT and ACT study helps and practice tests online. 2. Set up a reminder to check the SAT Question of the Day on the app. Make a game of using the question and answer in fun scenarios or accents to reinforce the learning. 3. Help your child find a coach or mentor to check in with (bug!) your student to encourage reaching exam score goals. 1. What is the difference between laughing with someone or at someone? How would you recognize if the joking was hurting someone’s feelings? 2. Is everyone the same in the world? What would the world be like if everyone liked and did things exactly the same? Why is variety necessary? How do you treat people who are different from you? 1. Work through the What Should You Do? worksheet, and discuss each answer. 2. Cut pictures of healthy foods and activities from magazines or online. Create a Healthy Choices collage letting the child pick which pictures to include. Talk about why they chose the pictures and what could happen to their brains and bodies if they made a bad choice. 3. Drive by an area of town where homeless people live. Discuss the circumstances and consequences that may have resulted in having to live on the street. 1. Do you have an active imagination? Do you like to act things out? Do you like decorating your room? Would you be interested in a creative career? If not, what elements of art and communication are needed in other jobs? 2. Listen to the radio while driving in the car or watch television together. Which advertisements stand out? Which annoy you? What words or images are used to appeal to the audience they are trying to convince? What are the elements of the ad: voice, singing, music, call-to-action (BUY THIS, VOTE FOR…). 3. What is the name of your art teacher? What makes him/her think differently than other teachers? What is your favorite thing to do in that class? Visit the Sawyer Yards where dozens of artists DO their work. Talk to the artists about how it is to make a living doing this (open house every second Saturday). Attend a performance and point out all the audiovisual technology being used: speakers, microphones, video, miles of cables, lighting, etc.Talk about the people who make this behind-the-scenes technology work for the audience’s enjoyment. Draw or paint an awesome picture. Take photos of it, and make a plan to “sell” it to a friend or family member. What is a fair price? How would you market it? How would you package it? Use this website for ideas. 1. Research shows that young people who talk to adults regularly about the dangers of drugs are 42% less likely to use drugs. Why does this work? Why is the percentage not higher? Why do some adults not talk to children about this? 2. Why do some people choose to take illegal drugs? Is the risk worth the consequences? 3. Excessive drinking poses serious risks to physical development of teens, such as negative effects on reproductive system, liver damage, reduced growth potential of the limbs and the body, reduced memory. How might these facts affect your choices when pressured to partake? 1. Participate in the Red Ribbon Week photo contest by decorating your home or school with a Life is a Journey. Travel Drug Free theme. 2. Make a chart with the harmful drug types listed in the Drug Facts Among Texas Youth 2016 report (see link below). Next to each, write the harmful short-and long-term effects of each. 3. Role-play with your student how to say “No” in various scenarios. Do reverse role-play and let the student be the person offering the illegal substances, and you, the adult, model how to say “no,” change the subject, walk away, etc. 1. What is a career cluster? Which do you feel is the best fit for you? Which jobs in this cluster sound interesting to you? 2. What do your strengths, values, personality and skills have to do with finding a career path? 3. Do all careers need a college degree? What are some that DO and some that do not? What kind of degrees or certifications are needed for each? Use the Career Clusters link to look up five possible careers. Make a list of the best parts of each job or draw a picture of yourself doing this job. Look at the SBISD Guthrie Center programs. Which are of interest? Which pathways offered here are of interest? Think of songs or lyrics that mention different careers. How many can you list together? 1. What are some pros and cons of using social media? Which kinds of words or pictures cause problems for you or others? 2. What would you do if you saw a threatening post from someone you know? Someone you don’t know? 3. If you were hiring someone to work for you, what would you look for in their online postings that would make you want to hire him/her or NOT? 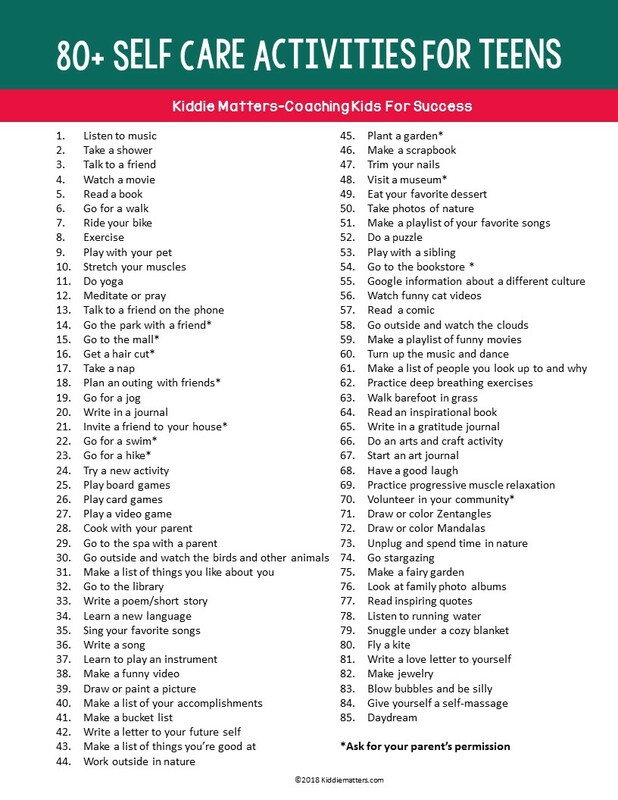 1, Help the young person be involved in uplifting activities that could be posted to highlight character strengths (i.e. volunteering, personal performances, tutoring, job duties, cultural events, praise for friends’ accomplishments, etc.) to create a positive digital footprint. Present your best self on social media. 2. Identify trusted adults at school, and other settings away from campus, who your child can talk to if they see high-risk threats online. Make sure the adults’ contact information is readily accessible (contacts list, wallet card, etc.). Email each of the identified adults to let them know the young person has “chosen” them as a trusted, go-to person. 3. Talk about how “little kids” argue and call each other names immaturely. Think of hypothetical scenarios where conflict between people should be worked out in person vs. posting online. Discuss why “walking away” from a hurtful online post and talking through the situation with other person face-to-face with active listening is a more mature approach. Practice using the phrases in this article. Sometimes writing them down gets the ideas to stick in your mind so they are ready to use when needed. 1. Which college criteria matter to you? Size, location, climate, majors, supports, athletic programs, academic reputation, research? Which of these criteria align with your personality, strengths, preferences? Why or why not? 2. If you could go to ANY college in the state/country/world, where would you go? Why? Look up this college online, and see what the admission requirements are. Naviance is a great place to look at all colleges and universities under Super Match. 3. To get into college and receive scholarships, students need to write persuasive and personal essays. What characteristics and accomplishments about yourself are you most proud? What hardships have you overcome and what have you learned along the way? What would your brag sheet look like? 1. Use the Prompts for College Essays to discuss and draft written responses. 2. If your student attended the SBISD College Fair on Oct. 8, develop a follow-up plan and schedule some college visits (some universities have virtual tours on their websites). These additional steps will show the universities you are truly interested in attending there and could favor your application over others. 3. Call at least one college representative, use the questions in the Tips for Talking to College Representatives to gather information about their university. Write down the kinds of questions they ask you so you are prepared for future calls and conversations. 1. What are six ways to disagree with someone without making everybody feel terrible? 2. What does the term common ground mean? What is an example of when you worked on a project or task with someone you did not agree with… how did you find common ground and make the project work? 3. What does win-win mean to you? What does compromise look or sound like? 1. Who do you know that went to college? Why do you think they went to college? What kinds of jobs do these people do? 2. What is a college mascot? What is the purpose of having one? 3. When people graduate from high school, are they done learning? What other learning is needed to get a good job? 1. Write the student’s name vertically. For each letter of the alphabet, look at the list of college mascots and find one the student likes, and write down the name of the mascot and its university (example: B = Blue Jay from the University of Kansas). Use the links on the list to find an image of each mascot. Some can also be found here. 2. Use this handout to create a mix and match game. Go over the sheet discussing each term. Then cut the College Words and Definitions into separate sections, scramble them up, and see how quickly the student can match the words and definitions back together. 3. Use the Roadtrip Nation website to map out the student’s interests and preferences. Read about the Leaders who have similar roads. Which of these careers are most interesting to the student? Which require a college degree and which do not? 1. Why do you think some people use slurs against others? 2. What does respectful discussion sound/look/feel like? 3. What would you do if someone did not respect you? 1. Some teams have offensive names (i.e. Redskins). Look up the team names in various sports leagues and discuss which might be offensive to certain people and why. Make fun suggestions about what the new names should be. 2. Make a list of possible slurs your child might hear, and develop an empowering response to each. 3. Write the word RESPECT with the letters going down the side of a page. Have your student share a way to show respect that starts with each letter (i.e. Recognize not everyone is like me). 1. Once it is out there, it is out there. Discuss what it would feel like to have the most private part of your life on display for anyone in the world to see. If you think you are just sharing something with one person, likely it is accessible by multitudes. What can this do to your reputation? What kinds of things SHOULD be posted that will help your reputation? 1. Apps are Spies. What do “hunters” look for when they are tracking game? (foot/paw prints). What do detectives look for at a crime scene? (foot/tire prints) What do internet trolls look for to steal your identity, spread false information about you or even track you down? (digital footprint) What are some ways to keep your digital identity safe? How would you deal with a troll? 3. Imagine you owned a treasure chest. What kinds of valuables would you want to find in it? What would you do to protect the valuables? If you have lots of keys made and hand them out to everyone, or tell everyone where you have hidden it, how secure will the valuables be? Your online reputation and information are like a treasure chest. What should you do to protect them? 2. Look at the profiles and apps on your student’s or your phone or device. Make a list of the information a stranger could collect based on the types of apps downloaded, content posted, the websites they have visited, purchases they have made, games played, comments made on online forums. Who IS this person? List adjectives that would describe the person the digital footprint reveals. Look at the privacy settings of each app, and make sure they are set as tight as can be. 3. Making Passwords secure: What makes a strong password? (Capital letters, numbers and symbols) Make a list of possible passwords (pet names, name of best friend, birthday numbers, etc.) and add something to each one to make it more secure. Consider using the Dashlane app; it will store all passwords in one safe place, and will change weak passwords to be stronger. You Can’t Win an Argument with an Internet Troll, So What Can You Do? 1. What does your web look like? Who have your attracted into your web of support and friendship? How did you do this? If you are trapped in someone’s web who is not a good influence, how can you get out of it? 2. What are the character traits of a good citizen? What actions would show you that a person is a good citizen? Which do you do or wish you could do? 3. How are careers and good character connected? Which character traits are most important for being a respected employee? Which are most important for being a good boss? 1. Write the letters R-E-S-P-E-C-T on index cards or strips of colored paper. On the back of each card, brainstorm with the student to write words starting with each letter that represent ways to show respect (i.e. R: Remember to say “please and Thank you.”). Hang all the cards from ribbons attached to a coat hanger to make a Respect mobile or from a rope to make a garland. 2. Alike and Different: Divide a piece of paper into two columns (or use this template). At the top of each column write the words Alike and Different. Using the student’s and a friend’s name, fill in the column with how the two are alike and different. Repeat the exercise with your name and the student’s name. Discuss what the student thinks is good or not so good about the similarities and differences, and what changes could make the relationships stronger. 3. Read a book together and then draw a picture of the main character in the middle of a paper. Write phrases and words around the drawing that describe how the character showed good citizenship (i.e. Was he/she kind, or helped the community, or made things better, etc.). What is a customer? What skills does it take to make a customer happy? Why is it important in a business for customers to be happy? Where do you feel valued as a customer? Why? What do the words hospitality and hospitable mean? When hospitality is done well, how should you feel? What happens when an employee is not hospitable to you? How do you feel? Close your eyes and picture your last visit to the doctor’s office. How many people helped you? How did you know whether they liked their job or not? 1. Look at a photo of a theme park. Race to see how many jobs are represented in the scene? Which jobs are necessary but not visible here? What does it take to run a theme park? 2. Look at the list of jobs in the Human Services cluster on this website. Think of someone the student knows who has one of these jobs or review one that aligns with the interests of the child. Review the description, the video, and level of education needed. Have the student draw a picture of herself/himself doing this job. 3. Do a service project to help someone in need. Make a list of places or people who need help, and think of one small thing your student can do to improve the situation. Examples: litter pick-up walk, weeding a garden, babysitting, collecting dog or cat food for an animal shelter, bringing treats to a fire station, visit an elderly person, make a tied fleece blanket for a homeless shelter, etc. Make photo montage showing before and after results. 1. Talk about what is a Random Act of Kindness, and how it should be as anonymous as possible. How do you feel when you secretly do something awesome for someone? How do you think the person receiving the Act feels? 2. How powerful are words? What happens when mean words are said? What happens to people when they hear nice words about themselves? What would happen in your school/home/city/state/country/world if everyone only said positive things? How can you set an example for others to follow? 3. What are some things you can do to notice when someone else needs help, and then help them?! At home? At school? What can you do if you are not able to help someone? 1. Doing something nice in a secret way is fun. It is not important to get a ‘wow!’ or “thank you”… you just quietly know in your heart that you made someone happy. Make a list Random Acts of Kindnesses the student could do. Let the student choose seven to do for one week. Write them on a calendar and ask for feedback after the week is finished. Should this become a habit? 2. Ask the student to write the names (vertically) of two or three friends. Next to each letter, write a kind or positive word that describes the friend. i.e. NATHAN: N = nice, A = athletic, etc. Make sentences the student could use to give compliments to these friends and others. 3. Watch The Giving Tree video. What lessons did you learn? Who is like the tree in your life? Draw a picture of a tree, and write on each branch the things from YOU that you can give away and be happy. 1. Do you know anyone who works in the healthcare industry? Why does our city need people who work in healthcare? Which healthcare jobs or tasks can you think of that could be done by robots? Which cannot? Why not? 2. Look at the list of manufacturing jobs available in Houston. Which are interesting to you? Using the Salary estimate on the side of the page, see how many jobs are listed in each $ range. Do the same with healthcare job listings. What do you see that is different? 1. Look around the room. Discuss what kinds of careers it took for each item (i.e. carpet, chair, window, blinds, air conditioning, etc.) to be there: designer, raw materials, manufacturer, delivery, installation, etc. See how many jobs you can list. Try to get to at least 20. 2. Open this article about the Texas Medical Center. Go through each of the photos at the top of the article. From each caption, write down the number mentioned. Which is the biggest number on your list? Do you think working here will still be possible when you are an adult? Why or why not? What kinds of skills or personality traits will it take to work there? 3. Gather several small items (i.e. Legos, paper clips, ribbon, sticks, cotton balls, glue, markers, cardboard, etc.) and ask the student to make a new “thing-a-ma-widget” from these four or five of the “raw materials.” Discuss: What would it take to make 100 or 1000 of these new things? How many of each item will need to be delivered to your workshop or warehouse to manufacture these quantities? How many people would need to work there to get them done in one day? Make a worksheet listing all the components necessary. Make a job description for the employees. 1. Talk about how romance was for you in middle and high school. What is different today? What precautions should be in place? 2. Do you think “true love” is possible in middle school? How many adults do you know who are with their middle or high school boyfriends/girlfriends? 3. What are some healthy boundaries that should be set if you or your friends have a relationship in middle or high school? What will you do if someone restricts your ability to be yourself and be safe? 1. Which career speaker most influenced your decision when you selected your Endorsement for high school? If you had to start a career tomorrow, what would you like to do? 2. Why will it be very important to pass the math and reading on the STAAR test this year? What will happen to your high school schedule if you don’t pass? 3. When you think about being in high school next year: what excites you? What scares you? What do you think will be the same? Different? 1. Start getting more organized now, so when you get to high school, it is a habit. Track assignments, field trips, volunteer work schedule, etc. in an online calendar on your phone or in a planner. Print out or buy a planner/calendar or use this one to start to fill it in with your life and school stuff this spring. 2. Use the questions and road map suggestions in this article to begin to take steps now to be ready for high school. 3. Make a list of the things you were IN to in 4thgrade (suggestions here). Make a list of fads you like now (8th grade)—are any the same? Do you see a theme that is evolving as you get older? Do you think you will like the same things when you are a senior in high school? Travel into the future, and make a list of what you think you will like in 2023. What does this evolution teach you? 1. What forms of physical and emotional violence in relationships do abusers use to get and gain power and control? How can these escalate from verbal to physical abuse? 2. What are the first steps you should take if you have a concern about an action or behavior in a relationship? 3. What is the connection between self-esteem and dating violence? Why do people stay in abusive relationships? What do you think should be done about this? Which parts of the Dating Bill of Rights would you feel comfortable communicating to a dating partner? Which would be difficult? Practice stating these rights in your own words to affirm your rights to yourself. Start a Love is Respect campaign at your school. Ideas are here. Take the Dating Abuse Quiz. Are you in any of these situations? Do you have friends who are? What should you do? 11th Grade February T-2-4 Topic: Are You On Track to Graduate? 1. According to an article in U.S.News & World Report, a record number of students are on track to graduate from high school in 2020. Low income and minority students still lag behind. Why do you think this is the case? What ideas do you have to bridge the gap? What do record numbers of graduate s mean for: a. getting into college? b. finding a job. 2. When you were in 8th grade, you chose an Endorsement for high school in order to earn the Distinguished Level of Achievement. What is your Endorsement? Are you on track to have this Endorsement on your transcript when you graduate? What are the benefits of graduating with this achievement? 3. This month, you are meeting with your high school counselor to be sure your graduation plan is on track. Why do you think it is important to be sure now vs. at this time next year? What part of this process is your responsibility? 1. Review your progress toward graduation in Skyward Family Access – Grad Reqs and Endorsement modules. Take note of any gaps. What is your plan to get on track? 3. Plan to take the SAT and ACT multiple times between now and the fall. Look at the testing schedules and sign up for upcoming tests now (fee waivers are available for students on Free or Reduced lunch plans). Use a planner to make a study schedule prior to each exam date, using study tips, KhanAcademy.com, Schmoop (enter magic word: SPRINGBRANCHROCKS), and other websites. 4. Make a list of the places and props you will use for your Senior Pictures next year. Which of these ideas do you like? Are people who complete homework assignments more prepared for and less stressed about taking a test? What happens to you when you are worried about a test or grade? What are some ideas you have to stay prepared for tests (they aren’t going away!)? What do you do to stay calm? What do you do to keep yourself in control of your emotions? What have you seen other people doing that you might want to try? What is your favorite place to play? What is the most beautiful place you have ever seen? What is your favorite taste? What is your favorite music? How can thinking of these things help you be positive? Let’s close our eyes and take notice of: what is around us that we can hear/smell/taste/feel. Now let’s pay attention to what we are thinking about yourself, about others, who needs compassion. Look at this list of healthy, protein-rich breakfast foods. Draw a picture of a breakfast that will help you be most prepared for a test. Talk about how to prepare each item in the picture… are there some things that students can make themselves? What are the benefits of eating protein before a test? Try a few of these calming strategies. After each one, say a word that describes how you feel. Which one could you do in class? Which the night before a test? How much protein do kids need in a day? 1. What kinds of skills do you think it takes to be a software designer? A mail delivery person? A teacher? An Ambassador? The president of the U.S.? 2. What levels of government do people work in? Since governments do not sell a product, how do they get money to pay their workers? Why are government jobs important to your neighborhood? City? State? Country? 3. Some people can speak more than one language. Why would this be useful for a job at a company that does computer security? Who works for the US government? What languages do you speak? Which ones should you learn to get a good job in the future? 1. Write down the student’s name. Next to each letter of the name, write down an occupation in the Technology or government services field that starts with that letter, preferably jobs that are of interest to the student. 2. Look at the list of careers in the Government and Public Administration and Information Technology sections of this list. Have the student close his/her eyes and point to several different, random videos to watch. At the end of each video, tell the student about someone you know who has that job, OR let them do thumbs up or thumbs down to indicate whether they would like that kind of job. Keep a running list of the ones they like. What do they have in common? 3. Write two letters to a teacher, family member or friend. Send one via your or the student’s email address and talk about how this will get to the other person. What would happen if it didn’t get there? Then send another via US mail. Why is an address important? What happens if the mail people cannot read your handwriting? What if a number is wrong or missing? What is the purpose of a Zip Code? A stamp? Mail deliverer? 1. In what ways do you take good care of yourself? Which habits need improvement? Why is it important to take care of YOURself? Who else could or should do it for you? 2. What happens when your mind wanders? What happens to your mood and your relationships when you focus on the positives instead of negatives? 3. What is the difference between self-care and self-indulgence? What happens when indulgences veer into the realm of self-destruction? How does the idea of self-care intersect with self-preservation? 1. Think of the calmest place you have ever been, or the most beautiful. What about this place made you content? Practice closing your eyes and taking a mini-vacation to that place. Describe it to your parent or mentor. Ask them to do the same. 2. There are several apps available to help you be more mindful. Check out the list and see which ones would be most helpful to you. Are there other ways to do these without an app for guidance? 3. Affirmation Notes: Zero in on a bad habit you would like to change and why. Then make affirmation notes on sticky notes and post them at home, inside your backpack or locker, in your closet, etc. They should be phrased as positive statements. For example: (to exercise more) I move my body to keep it strong and healthy. 1. Take a walk outside. Notice as many sounds, animals, colors, as possible. Each of you mention one every 30 seconds. 2. What is your “still quiet place” you can go to when you are upset, worried, stressed? 3. Do you have a choice whether to do things that are good or bad for your mental and physical well-being? How is this connected to life-long health and your ability to be an awesome adult? Review the ideas for dealing with workplace stress in this article to show that these skills are needed for coping even when they grow up. 1. List the careers of 5 people you know. What seems to make them happy there? What is stressful? What techniques for staying calm have you learned that could help them? 2. Jump up and down, or walk briskly down the hall. Then stop to notice your heartbeat. Notice as it slows down. Talk about how this could also work when the student is in a stressful situation. 3. Mind Mapping: Think of a bad habit you have. Write it in the middle of a circle. Draw other circles around the center circle and connect them with lines to the bad habit circle. In each of the satellite circles, write a strategy for breaking the bad habit. Connect other circles/lines to the strategy circles and write in frequencies, supplies needed, who will benefit, etc. 1. What does agree to disagree mean to you? At what point in a conversation should you use this phrase? 2. Who do you respect? What have they done to earn your respect? Who has lost your respect and why? What good things come your way when you show respect for others? 3. Interpersonal relationships require trust, loyalty, respect and commitment. How would you grow these ingredients digitally vs. in-person? 1. Write down the name of 5-10 people you know: parents, siblings, friends, coworkers, teachers, etc. Be sure to have at least 2-3 people with whom you struggle to have a good relationship. Next to each name, write down a sincere compliment for that person. Decide how to share the compliments with the people on the list (digitally, in person, in writing, demonstrating it some other way). How do you think each person will react to the compliment? How will it make you feel to share it? 2. Use body language and personal space to demonstrate the following emotions: boredom, interest, empathy, sympathy, happy, sad, mad, fear, respect, surprise, affection, disgust. Discuss the importance of body language when growing an interpersonal relationship. How can you control negative body language? 1. What is the purpose of a resume? How would a resume for a college application differ from a job application? Which achievements should or should not be listed? 2. What can you do to BUILD your resume? What kinds of non-paid experiences have you had at home, in church, in school groups, etc. that can be listed on your resume to show: responsibility, skills, leadership? 3. Recruiters for jobs and colleges want to know what you are doing outside of school hours. What would you SAY if asked, and how would you write it on a resume? 1. List experiences you have had that show maturity and responsibility. Don’t forget responsibilities you have had at home (i.e. babysitting—use the words child care instead). Change the phrases to be in active voice. Example: I wrote vs. I have written. How does each activity enhance your communication, problem-solve and technical skills? 2. Take a look at the list of action verbs. Which ones should would make your experiences come to life on your resume? 3. Is your email address professional enough? Make a new one if yours is something like twinkletoes@gmail.com.